Powered by Briggs & Stratton Vanguard, Electric & Recoil Start and long range fuel tank. 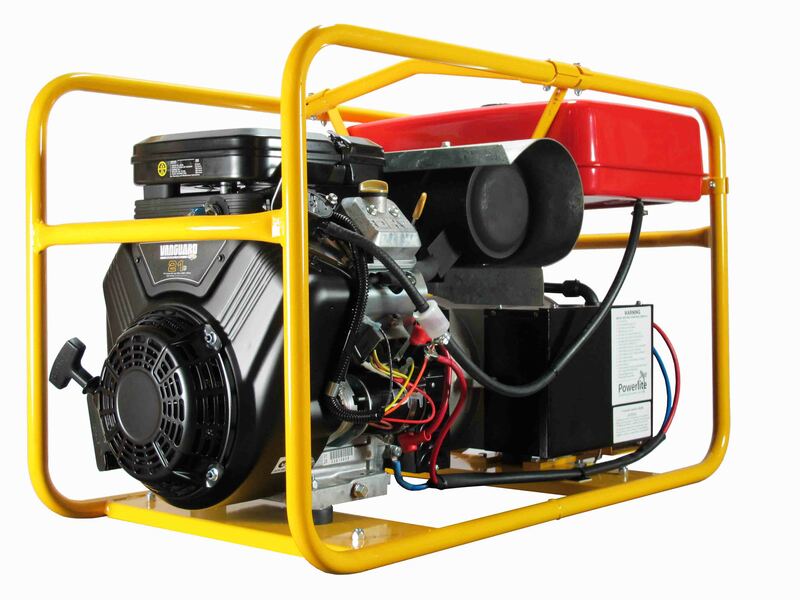 11,000W Petrol 3 Phase Powerlite Generator, powered by 20hp Briggs & Stratton, Vanguard with electric & recoil start, 18 litre long range fuel tank and battery. 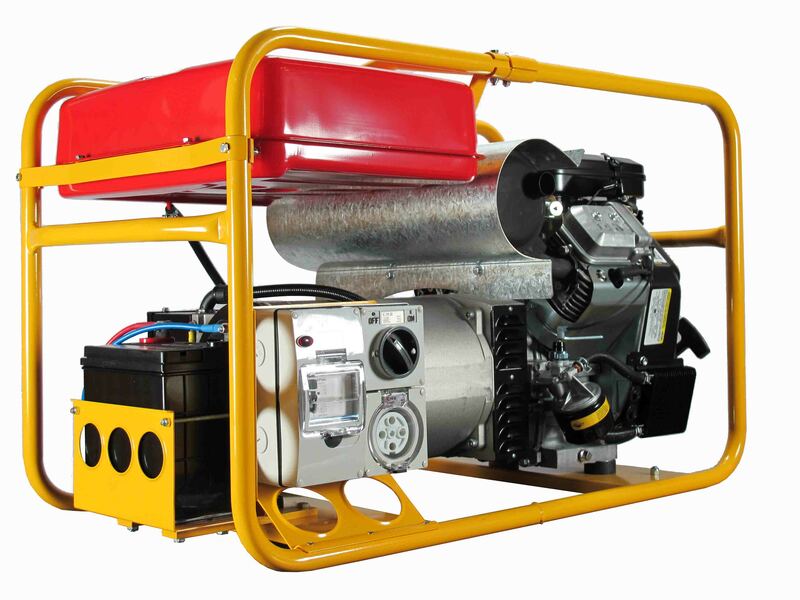 Ideally used for farm, household, workshops and electric motor up to 3,000W, provided that the total power consumption at any one time is less than 11,000W. More than 1 electric motor may be operated at one time but please allow for heavy currents during starting. Please note: the total output available per phase is one third the total output. Options include: Wheels and handle roll frame, earth stake kit, Work Site / Hire Spec protection module and 50 litre extended operation fuel tank … see options for more details. 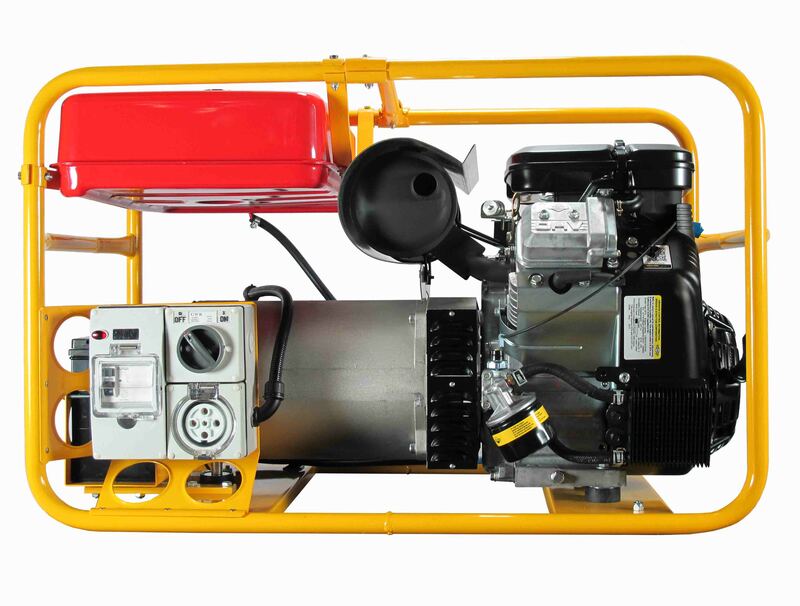 9,500W Petrol 3 Phase Powerlite Generator, powered by Briggs & Stratton, Vanguard with electric & recoil start and battery.